Bayern Munich and Germany goalkeeper Manuel Neuer has been sidelined with a foot fracture since September, but an end to his injury woes appear to be in sight. Friday was an "emotional day" for the 31-year-old as he stepped up his recovery, and he told FCB.tv how he is progressing. Friday was an "emotional day" for the 31-year-old who, after stepping up his recovery, updated FCB.tv on how he is progressing. "I've got to say things are going well. Today was an emotional day because I was able to put full weight on my foot for three five-minute bursts, and there was no reaction from the foot. Both feet felt the same, so it was an important step for me. In my head, it's not an issue for me. I'm doing many exercises that are pushing me to my limit, but I have a fresh mind every day and don't have the pressure of playing in the Bundesliga, Champions League and DFB Cup every week – I just come to the Säbener [Straße training centre] and put in my six hours or so, then I go for therapy and speak with the physios about my body. Then we have these exercises which push me to my limit." "It is within sight – now I've started running, and it went well, that's an important step with no swelling or weakness in the muscles, then I'll do a MRT [scan] tomorrow and we'll see the images and will check closely how it is and if there are any risks. If everything's fine, I expect to be able to train out on the field again – back out in the fresh air!" "It's still not certain when I will be back. I've taken some steps and when I get my football boots back on, then we'll see how my body and foot responds. I hope I still get to play some games for Bayern this season – and that is realistic – but I'm not making any predictions. I'm glad that things are going well, but it's very hard to name a date [for my comeback]. 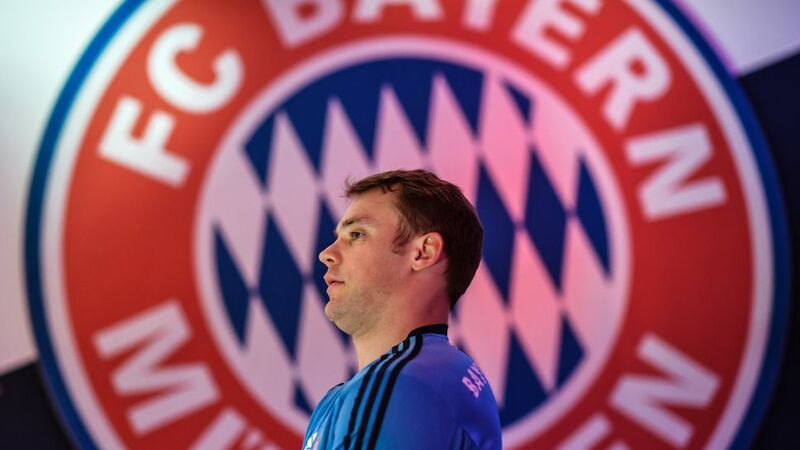 My aim is to play a few games again for Bayern, but the important thing is nobody is putting me under any pressure. They're giving me all the time in the world, albeit hoping to see me back on the field again soon. Getting back into the national team with a few games under my belt is my objective."